If you’re reading this article then maybe you also have some trouble stopping that impulse to buy something new, exciting and trendy. One of the greatest things we can do to reduce our waste is to simply consume less, and when need to, consume smarter. Here are my top tips for helping to fight that impulse, and stop buying unnecessary things. Deleting any shopping apps off your phone that really only serve the purpose of enticing you to shop, is one of the best ways to curb your habits. If you’re like me and habitually scroll through your phone, then the presence of shopping apps will always get you. Out of sight, out of mind is a great way to think about this tip. If the app isn’t there, you have less prompts encouraging you to spend money you don’t have. By unfollowing fashion brands and influencers who only encourage you to shop, again you will be taking away some of the external prompts to consume. When we see influencers presenting us with massive hauls of new clothing, we become incredibly aware of the things we don’t have. Furthermore, if you’re watching an influencer who you admire, and they’re telling you to buy something, chances are you will. So unfollow any people or brands that are having a negative influence on your pocket. This has got to be my favourite tip, mainly because it gives you time and space to truly consider whether you actually want something. By creating a wish list you are becoming far more deliberate about every purchase you make. This also means that its a lot more exciting when you do purchase something, and you know it will hold true value for you. Taking the time to sit down and write some savings goals will encourage you to put your money away rather than impulse buy. Having such goals has allowed me to take trips, visit my boyfriend more often, upgrade my camera and even quit my job and make the shift to self-employment much easier. When you choose to save over spending on frivolous items, the possibilities suddenly become very exciting and far more extensive. Staying motivated can be the hardest part of any goal we’re seeking to achieve. Especially if we haven’t yet created long lasting habits. Watching videos on minimalism, and budget friendly channels like The Financial Diet, have helped me enormously to stay on track and motivated. I would highly recommend the aforementioned YT channel as well as The Minimalists podcast. This is a great one with some pretty amazing and unexpected results. This is one of my favourites for breaking a bad habit whilst simultaneously creating a new one. Set up a savings account that you cannot access easily, and every time you go to buy something, instead put that money in your savings account. Not only will you save a tonne of money, but you’ll also learn a lot about your spending habits. And believe me, that tends to be the most shocking part. Without a why its almost impossible to make any new habit or lifestyle change last. You need to find a way to connect to the change you’re trying to make, so you can always default to that reasoning if you’re ever struggling to keep going. This is why having savings goals is super important, or simply consuming less for environmental reasons. Whatever it is, its important to build that connection, to create a lasting change. The principles for this tip are similar to the first one. Out of sight, out of mind. If you only go shopping when you absolutely need to, you remove yourself from a potentially tempting situation. Browsing shops is dangerous and always leads to an impulse purchase that we didn’t really want, and will forget about in a few weeks time. 9. WHY ARE YOU BUYING STUFF? Getting to the root of the problem is also incredibly important, especially if you are an excessive impulse shopper. Finding the source of the problem can help you to begin to change your behaviour and stop using shopping as the remedy for an underlying issue. Clothing is one of the areas where we waste and consume the most. How many times have you bought cheap, fast fashion that has only lasted one season? Or been tempted by the latest trendy jacket even though you already have 3 perfectly great ones? 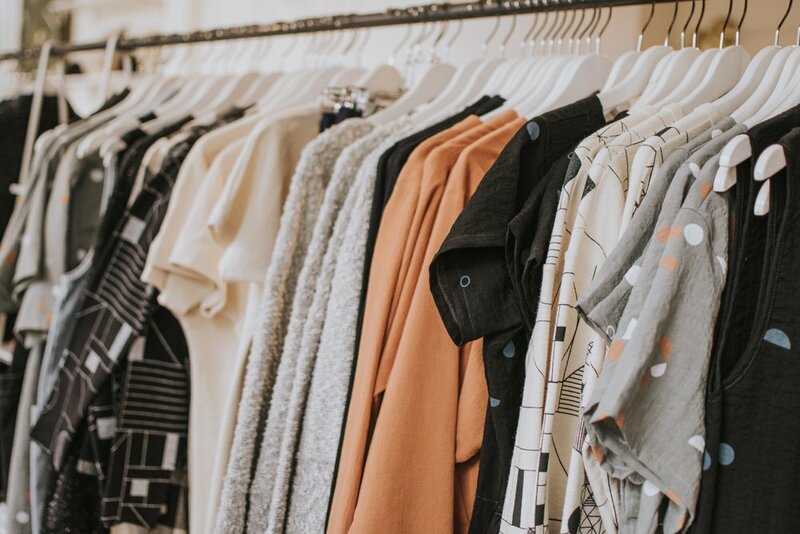 By creating a capsule wardrobe you are rotating your collection properly and finding value in the items you already own. This also helps to minimise your closet, find your own personal style, and always feel great in whatever you wear. 10 Books I've Been Reading that you Should too!